There are five areas of analysis we utilize to review investment ideas (see our Risk Budgeting White Paper pages 9-10). 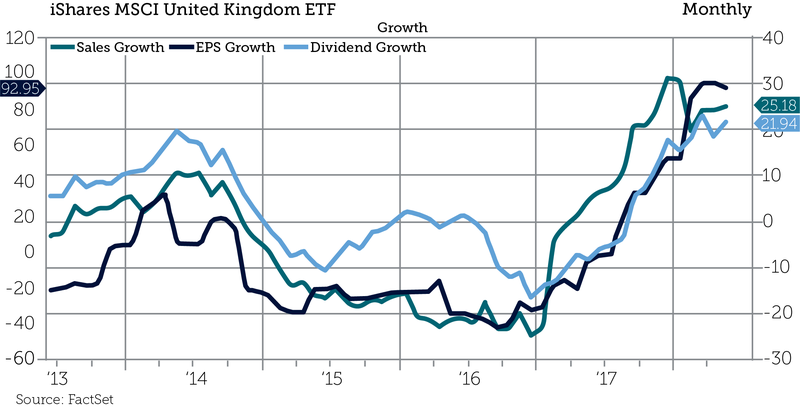 To help our readers understand these analyses and our investment processes, let’s take a look at a real life example applicable to many, if not all, CLS portfolios: the United Kingdom. 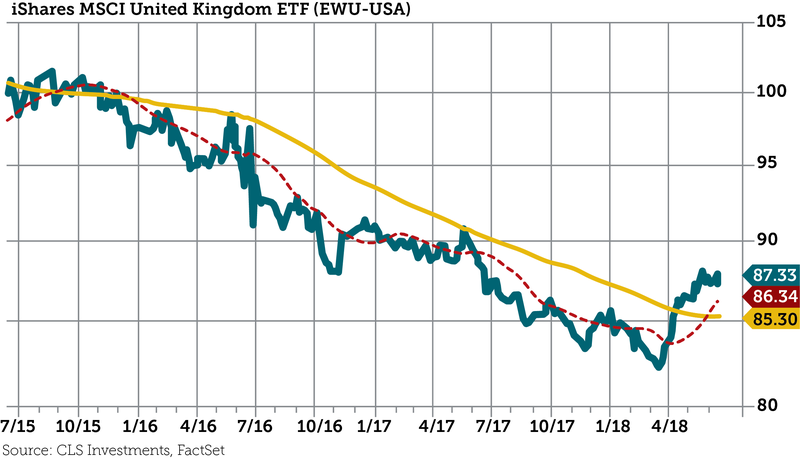 The U.K. has recently become a very interesting investment option, and we hold an overweight in many strategies. For example, the U.K. has a more than 23% allocation in EFV, our largest ETF holding. 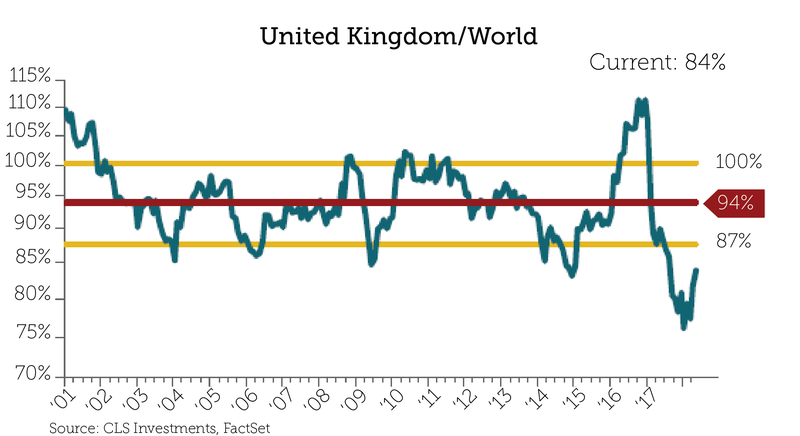 The U.K. has recently become the cheapest region on a valuation perspective relative to the rest of the world since we began tracking the data. Relative valuations reached nearly two standard deviations from their averages, an occurrence that should only happen 5% of the time. Valuation: Check. The behavioral area of analysis covers both technical analysis and sentiment. As shown below, the U.K. has recently “broken out” versus the rest of the international markets. Technicals: Check. 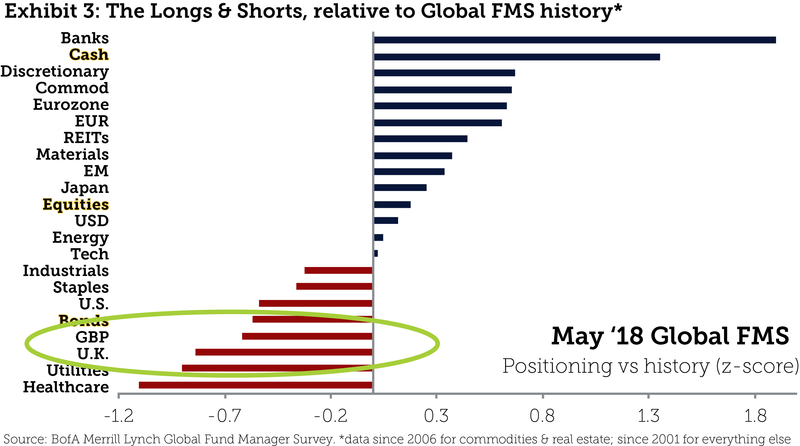 At the same time, sentiment toward the U.K. amid uncertainty about the country’s future after Brexit has led to fund managers being underweight both U.K. stocks and the pound. This low level of sentiment has a tendency to revert. There are many crowded trades out there; this isn’t one of them! Sentiment: Check. The U.K. economy is growing, albeit slowly, along with the rest of Europe. Retail sales have improved markedly, inflation is moderate and reasonable, and economic sentiment has improved from post-Brexit-vote lows. Toward the end of last year, the British pound was the most undervalued it has been on a purchasing-power-parity basis versus the U.S. dollar in 30 years (since the valuation data was first recorded!). At 85% of GDP, government debt definitely isn’t nonexistent, but it is one of the lowest in the developed world, and interest rates are quite low. Economics: Check. Half of the U.K. stock market is in financials, energy, and consumer staples — classic value sectors. Low interest rates and the oil price collapse a couple of years back have depressed earnings in many of these areas, but they are now accelerating off that lower base and growing at an impressive clip. 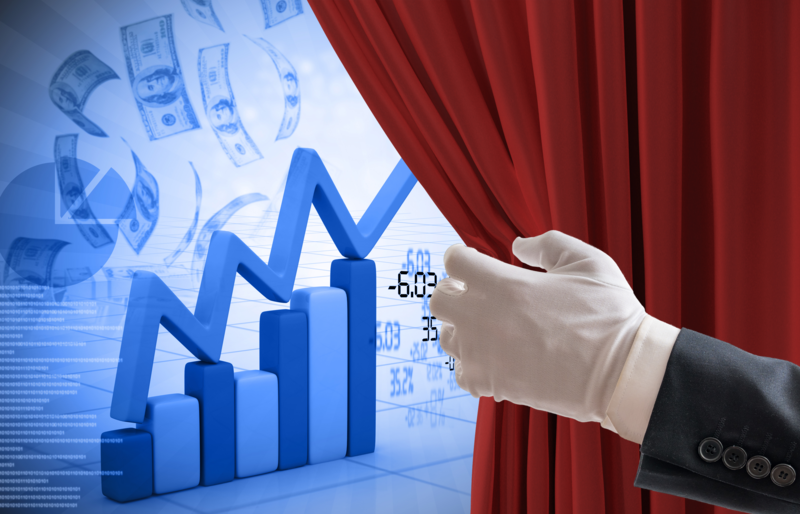 Quality statistics, such as return on equity and corporate debt, have also improved lately. Fundamentals: Check. 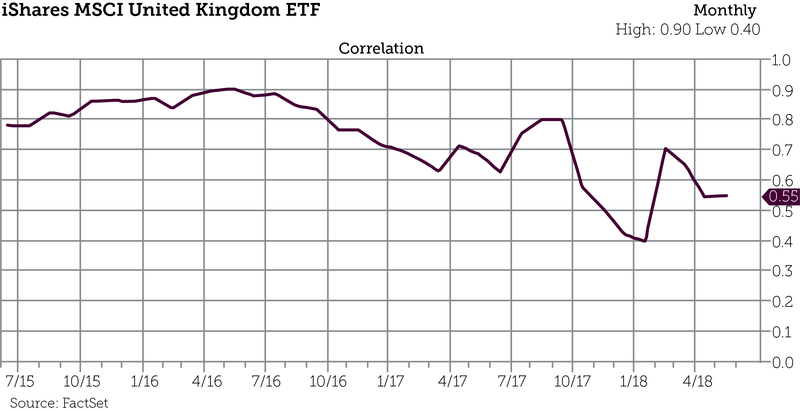 The correlation between the U.K. and the rest of the world has dropped to less than 0.6, implying that only about 30% of the movement in the price of U.K. stocks can be explained by the movement in the rest of the world. What a great portfolio addition! Those diversification benefits can help to control portfolio risk and are a major draw for international investing. Quantitative: Check. After reviewing these five points of analysis, it appears the uncertainty surrounding Brexit has opened up an opportunity to buy a growing and quality market at a discount. I hope that helps give a high-level, behind-the-scenes look at some of the ways we review portfolios.